Everyone’s heard of lockers. They’re those metal boxes in schools and gyms you’ve no doubt used at some point in life. We all know what lockers are but have you heard about wire storage lockers? 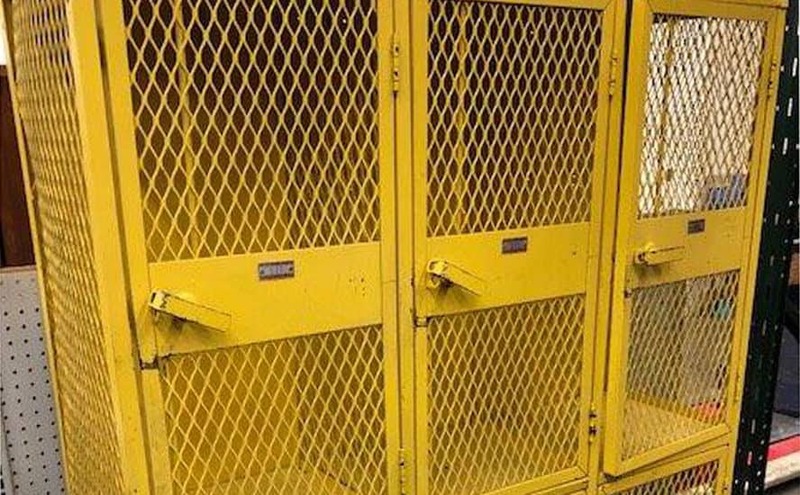 These industrial lockers differ from the standard school lockers in several ways and can be a great benefit to warehouses, storage facilities, and even your home. What’s so great about wire storage lockers? We’ll tell you! Let’s review five unique benefits and uses for wire storage lockers. Wire storage lockers are perfect for garage storage, shed storage, or any other number of utility areas. If you’re a landlord, who needs to provide safe storage to your tenants, how about putting a couple of wire storage lockers in the lobby or basement of your building? Wire storage lockers are very versatile, so if you’ve been having problems with secure and convenient storage, it’s time to think about wire storage lockers. Wire storage lockers can keep your plants and materials safe while still letting UV rays and other necessary components take care of your plant’s growth. Wire storage lockers will allow air and light to pass through while your plants remain protected. This has made them popular for dispensaries and other plants that grow plants of value. You can build out a wire storage locker to suit the need you have. Wire storage lockers can be customized by size, type of wire, type of security, and wire lockers can be upgraded with more features and add-ons. This makes the perfect type of storage for any occasion. Is your garage full of expensive tools? Do you have a vintage wine collection you want to keep around? Do you have specialty tools you want to keep away from untrained warehouse workers? Wire storage lockers are accessible and can fit anywhere, making them a great option for expensive equipment and other specialty items. Having issues with inventory? Try wire storage lockers. These types of lockers can keep people from messing with your organized tools or items. When you know nothing is coming in or going out without you knowing, you’ll step your inventory game.